In high-rise buildings there is always the issue of the structure that is going to be used to support the building without affecting it's design and it's usage by the occupants. The first thing that needs to be determined is wether the building should be a concrete frame building of a steel-framed building. There are times where concrete should be used and some other occasions that concrete cannot be used and that's where steel comes in the design, to establish the best possible structure for the building. 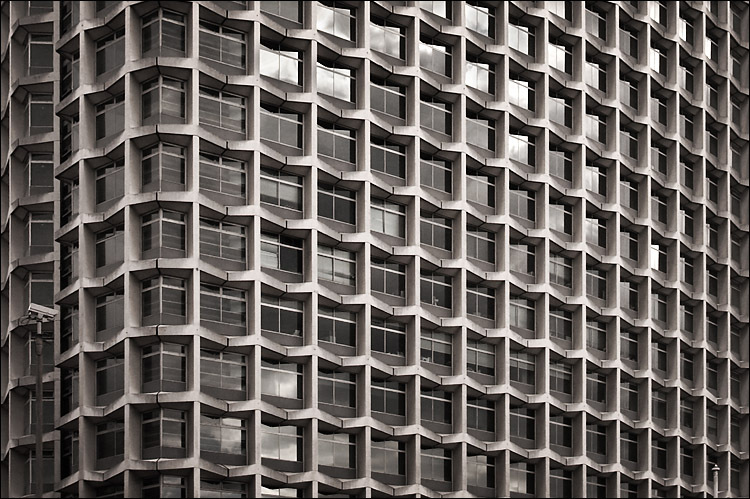 Concrete is a heavy material, much heavier than steel and therefore if it's a building which is really tall, most times steel is used to reduce the weight of the building (although it is not set on stone), however, steel cannot take the shape that concrete can and in some designs, even if it's a really tall building, concrete must be used. If a building is to be built but it is very restricted on it's foundation design or the load that is going to have, sometimes steel must be used. Let's take for example the Bush Lane House building in London. It's a steel-framed building, not because it is too tall to be concrete or it's shape but because under it the underground rails pass from there, therefore a pile foundation system could not be used, for an alternative strategy, the architects used vertical steel piles which can hold all the floors and penetrate the ground only from one of the side to avoid penetrating the underground station and transfer the loads under the underground station. 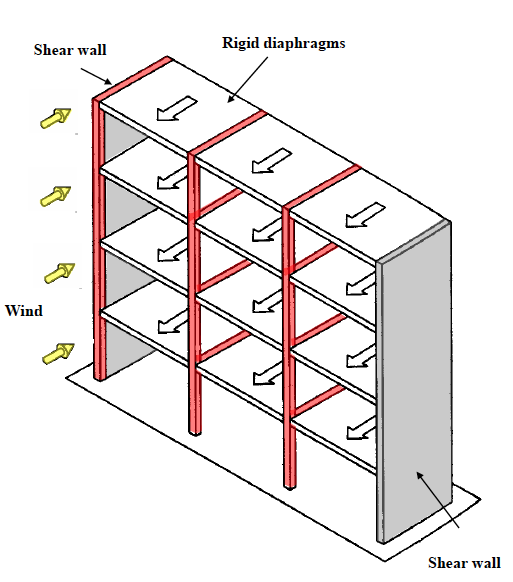 Another important reason why not simple structures can be used in high rise buildings is because of the wind load. Wind load can affect the buildings as if additional load is added on it, therefore the structure has to resists as much wind load as possible and be able to carry the rest from it's structure to the foundation, and from the foundation system to the ground. A Rigid structure is considered to be the structure that has more rigid connections to be able to hold the building together when it drifts from the wind load. A core type structure is when in the centre of the structure of the building they place a thick concrete core and the floors are connected on that core. In that way all the load is applied on the concrete core and then is transmitted to the ground. A symmetrical core must be designed or else the building will suffer high torsional forces that can be very destructive. 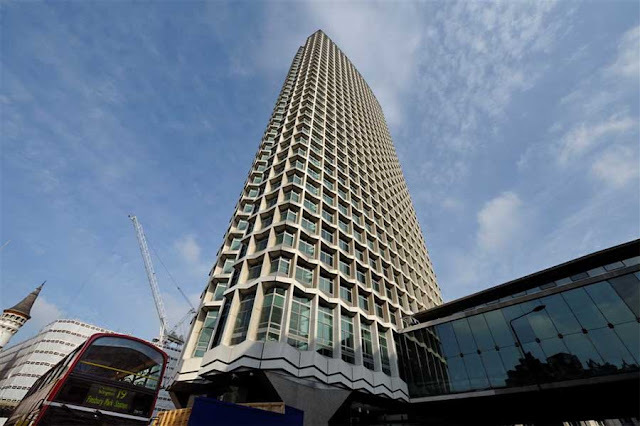 Example of a Core Type Structure is the London Shard Tower. 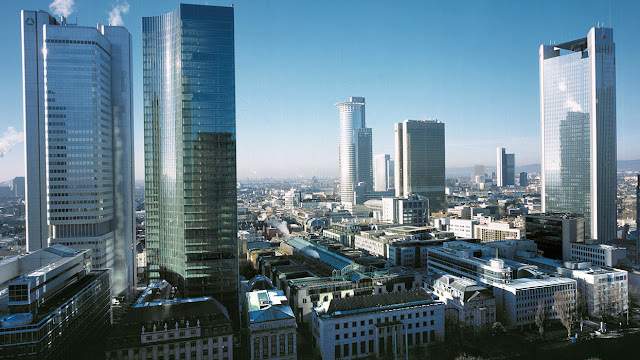 Note: The maximum storeys that can be achieved with the core type structure are 65 storeys. If the building is higher than 65 storeys then additional technology must be added. 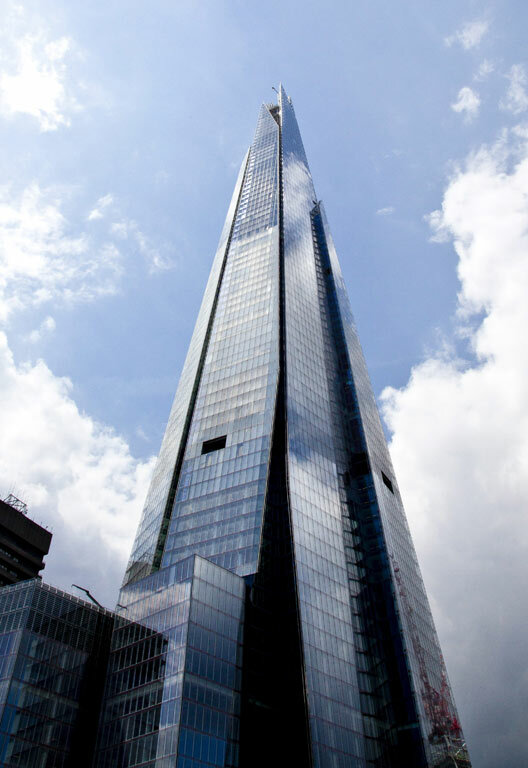 For example, the London Shard has total of 72 floors. 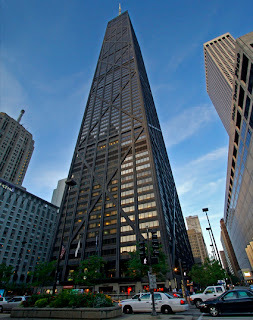 At the 66th floor they used diagonal steel struts rising from the perimeter columns of the building to the central core. This technique is known as 'hat truss'. In the picture above you can see a typical arrangement of the share wall systems. With this arrangement the share wall resist bending in one plane while frame actions takes place in the other plane. This provides good torsional stiffness. Braced structure is a systems which is designed primarily to resist wind loads and earthquake forces. It is designed to work in tension and compression. Braced structural building are mainly steel framed buildings. Another example of a braced structure is the First Wisconsin Centre in Milwaukee in America. 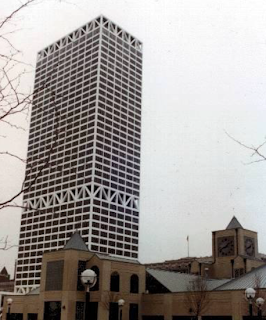 As seen in the picture below, on the top top, middle and bottom floor there is a braced structure supporting the building, on those floors the building can support greater loads. The principal design for this structure is that the structure is placed in the external of the building instead of having it going through the building or placed inside of the building. A typical example of this kind of structure is the John Hancock Insurance Company Building in Chicago. As you can see from the picture in the right, the braces that were used for this buildings to hold resist wind load are visible and they are part of the façade of the building. These are the main structural systems that are used to support high-rise buildings and to resist wind load and earthquake forces.